This write-up can be titled “You saw it HERE first” but we think that works better as a punch line. You’ll see why. We also apologize in advance. Some parts of this post may be specific to a people in a time that you may not identify with. But that is the people & time that we are from. And this post is important to us. So take yourself back in time to 1995. We were students of architecture, in a south asian setting. We learnt how to “live, breathe and dream” in the material. Drawings were hand-drawn and hand inked. Glass Curtain walls was not yet the norm; air conditioning rare; Raw untreated sewage was dumped in rivers. Many believed in sourcing and building local. Green Architecture was not a “brand”- it was the norm. Forward to 1999: AutoCAD was introduced in architecture schools as the preferred medium of drawing. Few held out against the “mechanization” of the “art” of hand drawing. Others embraced it. We were somewhere in the middle. New technologies in building were introduced. Some held back and others embraced it. But raw sewage still found its way to rivers. In such a time, where old ideologies were meeting the new, an idea was born. This idea was not special in the overall scheme of things. In retrospect, it was probably not even great design. But in a conservative society which was starting to question its conventional wisdom, this idea was trying to push the boundaries of its own circumstance. An idea of a LIVING BRIDGE. It was unheard of in India. The technology to make it glamorous was not mainstream yet. So it stayed unglamorous and tried to do the best it could with what it knew. This BRIDGE would try to connect a highly affluent/developed area of a city with its low-income area. It would try to make a city LOOK TOWARDS its river rather than treat it like a sewage drain. It would try to bring RESPECT to the river in the hope that future generations may enjoy its beauty. And it would try to be an Urban street in a city that was slowly forgetting its own street life. This LIVING BRIDGE did not look like much, but it had great ideals for itself. It wanted to change the city and then change the world! 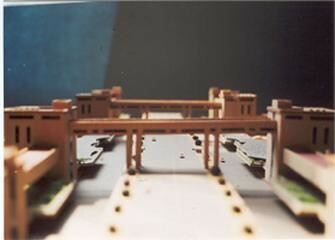 This idea was submitted to the then Environment/Urban Development authority. And there it lay buried for years, waiting patiently. 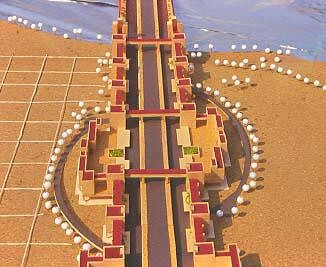 In 2011, there are advertisements that a fabulous new “living bridge” will be built in a city in north India. This bridge will make the river’s waterfront a place to be. It will be shaped after the water side communities abroad. It will be GLAMOROUS, it will be GREAT and it will be BEAUTIFUL. It will make a statement to the world! It is an idea whose time has come. But remember, you saw it here first…:)! 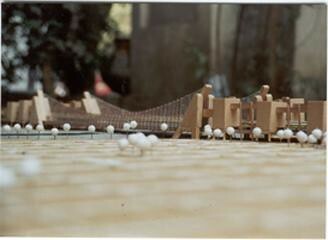 This entry was posted in Design, UrbSpace and tagged Historic Bridges, Technology by Pollyanna. Bookmark the permalink. Still a great concept, worth top honours.